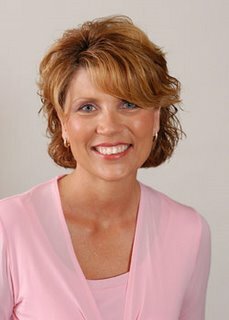 Today I’m so lucky to have Steeple Hill author Debra Clopton write a guest blog post! Deb is the sweetest person and I’m really blessed to know her. When you read her books, you can hear her Texas accent in the story! Her latest book is AND BABY MAKES FIVE. TWO STUBBORN HUMANS, HIS DOG, HER DONKEY...AND A BRAND-NEW BABY. Thank you for this opportunity Camy. 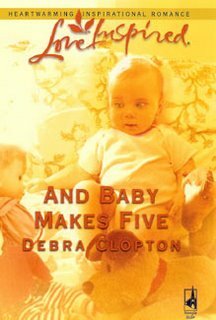 AND BABY MAKES FIVE is my second book in my Mule Hollow series and I loved writing this book! When I first came up with the concept of a matchmaking donkey...well, you can imagine that I just thought it would be a hilarious book, especially since I’d watched the real Samantha the donkey in action. I was excited to bring this story to fruition because I want more than anything to make my readers laugh. My goal with each book is to take my readers to a place where they can check their coat of stress and worry at the door, plop their feet on the coffee table and join me in a town where there is absolutely no telling what is going to happen next! Good ole Mule Hollow Texas is meant to be a utopia of fun. It was a place I created first for myself, when I needed to laugh again after my husband died. It is so rewarding and a blessing to me to see how readers are embracing the wacky characters who are the backdrop of my stories. The characters I love so much. As with the laughter that I strive to bring to the stories I always, always want to show my young readers the beauty of love between a man and a woman when it is by God’s design. And in this book I also wanted to show the love of between a young mother and her child. Kids and young adults are bombarded with enough worldly images now that I wanted to portray the sweetness of it all through Lilly’s character. However, the ultimate connection that I hope readers connect with is the theme that our lives don’t always follow the path we’ve hoped for, longed for and dreamed of. That life isn’t always beautiful, but still we must put one foot in front of the other and push forward…even when our hearts are broken and our faith is wavering. In AND BABY MAKES FIVE Cort Wells is doing just that. He’s struggling to hang on to God, even though his life has fallen apart and he’s unhappy with every aspect of the future looming ahead of him, he is fighting to cling to Christ, to his faith and his trust that God knows what is best for him. I would like my readers to take away from this book the truth that God doesn’t say His grace might be sufficient. Nope, in 2 Corinthians 12:9 God tells us: My grace is sufficient for thee: for my strength is made perfect in weakness. It is such an easy statement to read, but until we are in the throws of sorrow, and we need to live that verse we don’t realize that Satan is going to work diligently to deceive us. But praise God, He didn’t say, “My grace might be sufficient, He said my grace is sufficient.” For me, that was my personal take away from this book. I’ve walked in Cort Well’s boots so his story was dear to my heart. But, I’m praying each reader will take away whatever they need from this story. Whether it’s a good hard laugh at the crazy antics of my mischievous burro, Samantha and her depressed cohort Loser the dog. Or maybe an application that God’s timing is perfect and that His loving hand is guiding our lives. Or, that even when we can’t see through the fog in front of us God can and sometimes He uses the weirdest, wackiest things to let us know He’s with us. Even a meddlesome donkey, a depressed dog and all your nosy neighbors! Camy here: Thanks, Deb! Now doesn’t that make you want to go out and buy copies of this book for all your friends??? I will give a Mount Hermon recap later.